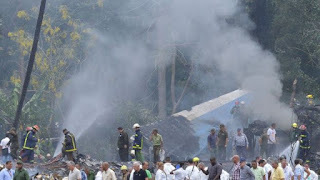 It has been revealed that the Mexican charter airline whose 39-year-old Boeing 737 crashed in Havana, Cuba, on Friday leaving 110 dead, had been the subject of two serious safety complaints during the last decade. Mexico's National Civil Aviation Authority will now carry out an operational audit of Damojh Airlines, the government confirmed, in order to ascertain if the carrier's “current operating conditions continue meeting regulations” The government also said that it would help collect information for the investigation. The aircraft and crew were being 'wet leased' from Damojh by EasySky, which is a Honduras-based low-cost airline. Cubana de Aviacion, the national airline of Cuba, was also leasing the plane on the same type of lease before the aircraft crashed just moments after takeoff on Friday. The flight had been destined to for Holguin, a city on the eastern side of the Caribbean island, however, those passengers would never even reach even the outskirts of Havana. Mexican authorities said Damojh had the correct permits needed in order to lease out its aircraft and had passed a verification of its maintenance programme as recently as November last year, yet on Saturday they announced a new audit would take place. Cuban Transportation Minister Adel Yzquierdo Rodriguez told the media on Saturday that Cubana had been leasing the aircraft for less than a month under an arrangement in which the Mexican company was entirely responsible for maintenance of the aircraft. It is believed that that Cuban authorities had not received any complaints regarding the aircraft during that month. 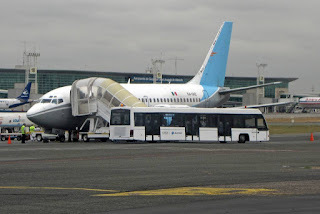 Cuba doesn't have pilots certified to fly the Boeing 737, the minister confirmed, which is why it had opted for the wet lease arrangement with Damojh, as they would be responsible for everything, from the aircraft to the crew and the maintenance. 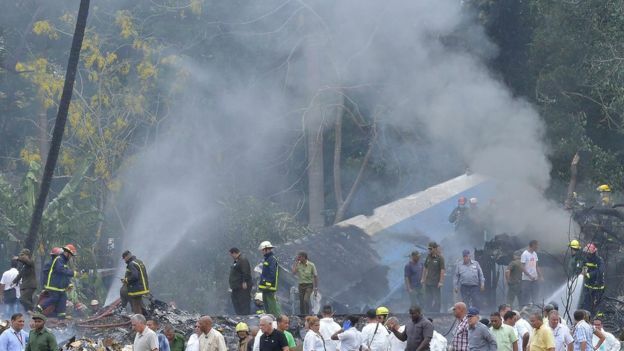 It is understood that the cockpit voice recorder had been recovered from the crash site and that the Cuban Government had granted approval for Boeing investigators to enter the country to help with the investigation. According to local media the aircraft, XA-UHZ had been operating a regular service between Georgetown, Guyana, and Havana starting in October 2016. A popular destination for Cubans, as they do not need visas for Guyana and often return with suitcases crammed with goods that are incredibly scarce back in Cuba, due to the sanctions imposed by the US. Easy Sky had canceled a series of flights during spring of 2017 after authorities began inspecting the aircraft and discovered that crews were loading excessive amounts of baggage, leading to concerns the aircraft could be dangerously overloaded and unbalanced. On one inspection, the Guyanese authorities discovered suitcases stored in the plane’s toilet. “This is the same plane and tail number,” Guyanese Infrastructure Minister David Patterson said. He and other Guyanese authorities said they did not immediately know if the crew suspended last May was the same one that died in Friday’s crash. 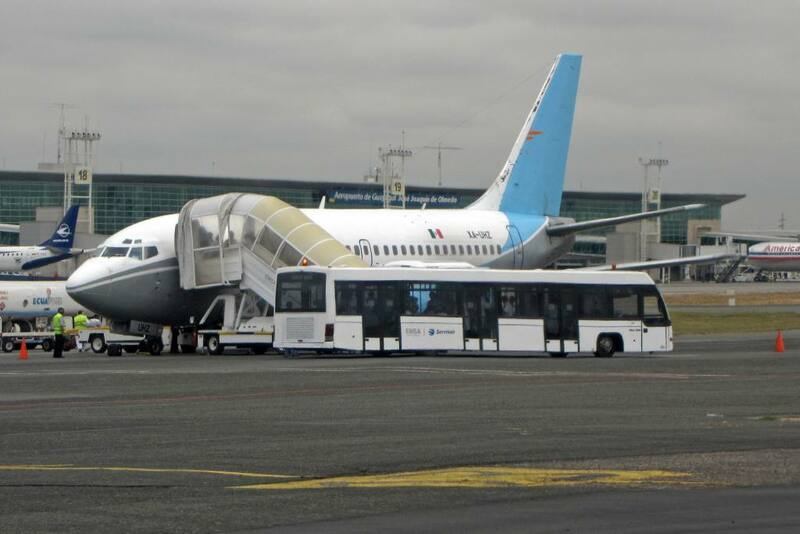 Damojh operates three Boeing 737s, two 737-300s and the 737-201 that crashed Friday, according to Mexican officials.